and I've been eyeing the new Cascadia 6's. I skipped the Cascadia 5's because they were basically the same shoe as the 4's. I was lucky to find some great deals on the 4's after they had released the 5's. Anyway, I scooped up a pair of the 6's during an impromptu visit to one of my favorite sporting good stores (The Sports Basement) right before a long run last weekend. With my "homeboy discount" I was out the door with these bad boys for $85! At first I wasn't going to wear them because you know the age old knowledge that you need to break in shoes before running any significant distances in them. Well, as I drove across the Golden Gate Bridge to the Marin Headlands the shiny blue Brooks logo kept on flirting with my eye and the new treads kept flexing their trail biting muscles at me... The next thing I knew I was out of the car heading up the trail with the new Cascadia 6 on my feet. Stoked. 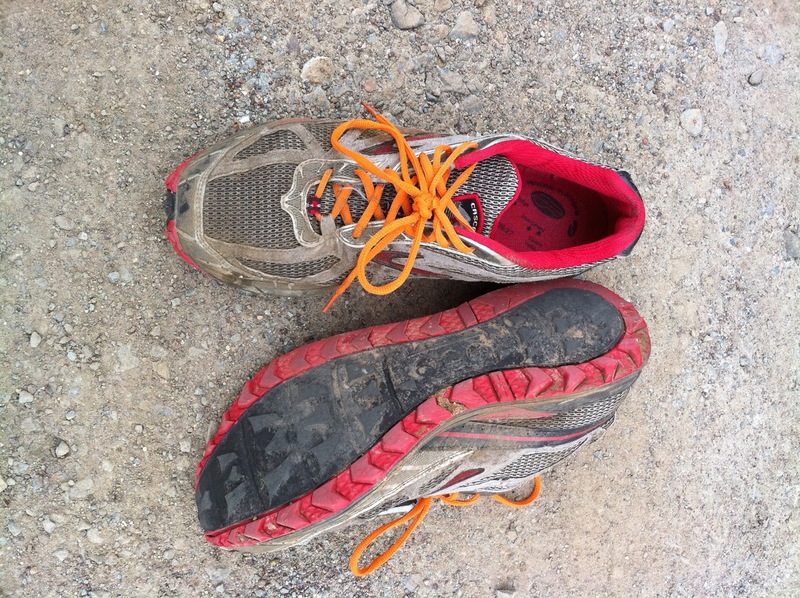 Needless to say, they are awesome and needless to say you should break in your shoes before you go for a long run in them. 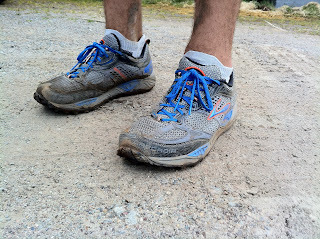 A few minor blisters/irritations on my feet, some mud stylistically splattered on the Cascadias and about 20 miles later I was feeling great and happy that I scooped up the shoes. Brooks didn't really change much, as the old saying goes, "if it ain't broke don't fix it"! They are slightly lighter (i think 1oz) and the tread is different which I thought overall gave a little more of a responsive feel but lost a little of that trail grip that the older Cascadia's had. Maybe I was just so happy to be running in the new shoes or maybe it was really that 1oz difference but I could've sworn that my feet felt a little lighter that day. 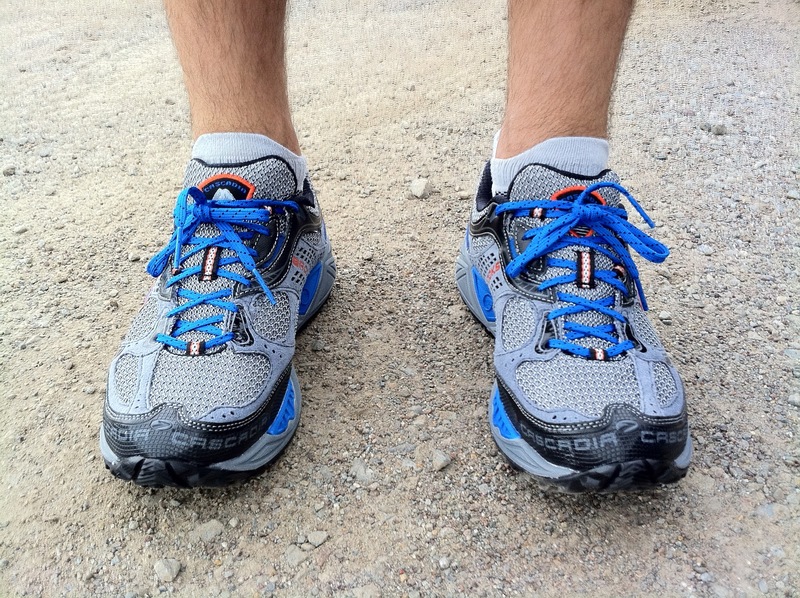 Here's a few more pics from the run and an after the first run pic of the Cascadia's... They were so shiny and new just a few hours before!?!! 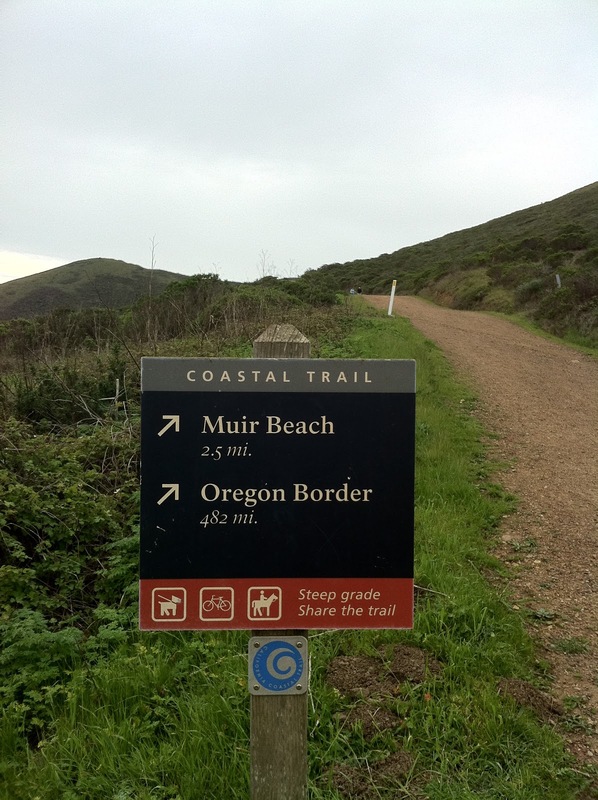 I almost took off for the Oregon border but decided Muir Beach was a lot more interesting. I also almost got eaten by a bobcat but luckily I saw him first just behind that bush and I was wearing my new Cascadia 6's so there is no way he could've caught me. I took a breather and tried out my new panoramic photo app on the trail.... pretty cool. Here's Muir Beach and an old bridge that had a sign which read "No Horses". After 2 running steps on it the bridge was bouncing around like a rubber band.... They should probably change the sign to "No Horses or Runners." After pic of the Cascadia 6... Neva been betta! Needless to say, but your article is great! Keep up the good work and receive a well-written and properly-formatted custom writing paper at a reduced price.